The season of dark is upon us. Best to simply allow; resistance is movement away from what is. When I slow enough to notice, everywhere I look there is light. The sky is slate grey–some might even say sullen–yet it is infused with a subtle glow. Light pierces through the vivid trees in their blazing autumnal color. 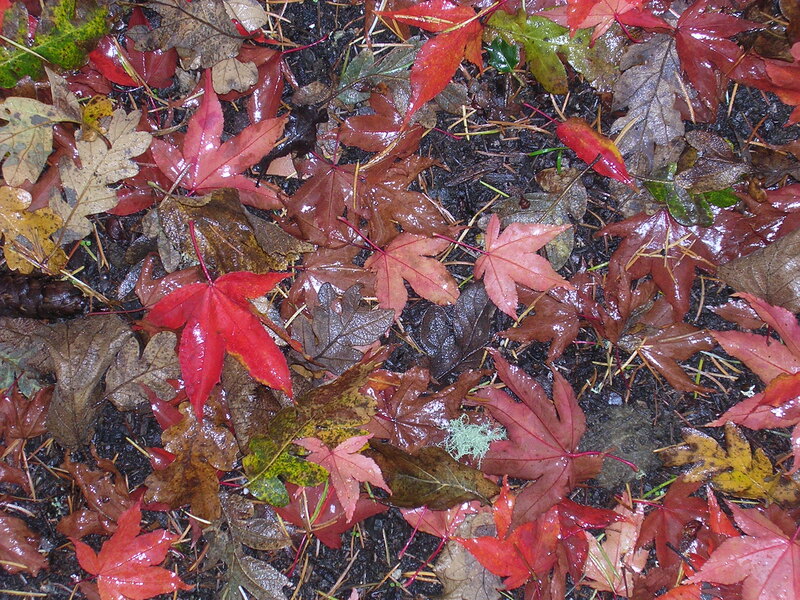 The rain wets the leaves on the ground, and each leave has a spot of bright reflection. As a fellow Pacific Northwest person, I am sharing the darkness with you today. However, today I realized how much I LOVED the dark, the damp. Seriously. In my recent trip to California, I found, almost to my surprise, that my favourite camping spot was deep in the redwood trees… calm, quiet, peaceful. That is where I found my “home”. There is nothing like redwood trees. There is a stillness among the old ones that stuns me.